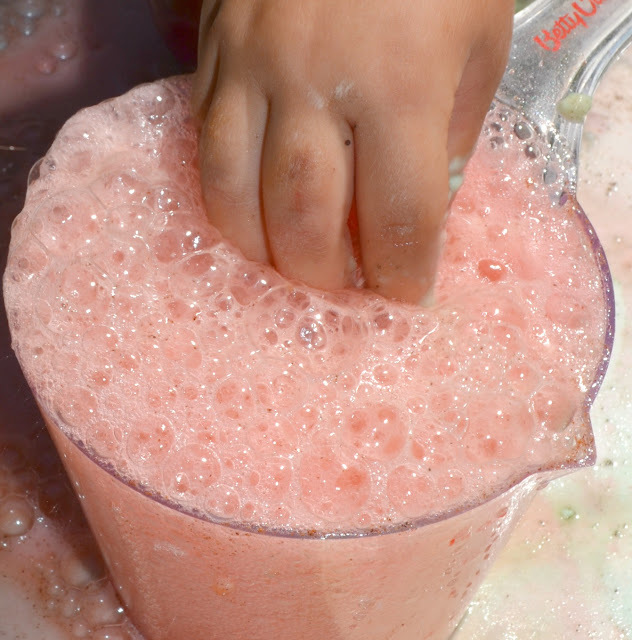 My kids love exploring science with baking soda and vinegar. 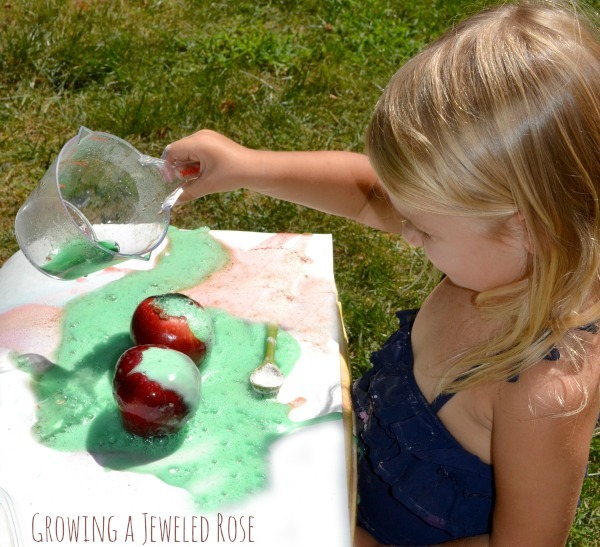 We have found so many ways to play with this simple bit of science, too! 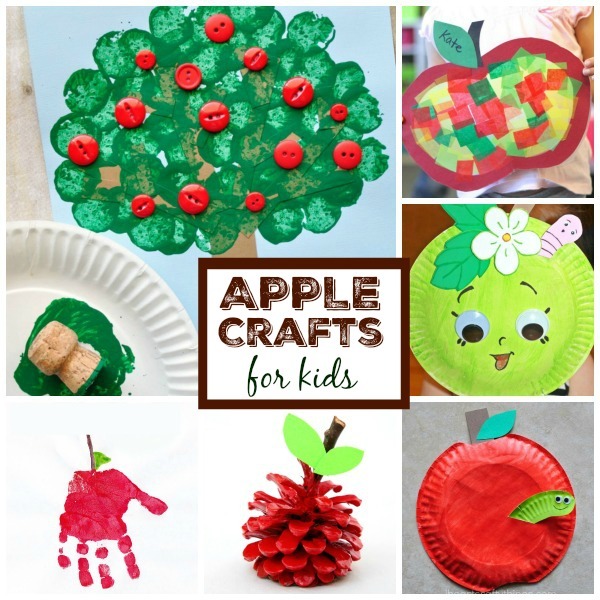 Today, we removed the core from a few apples to make apple volcanoes! 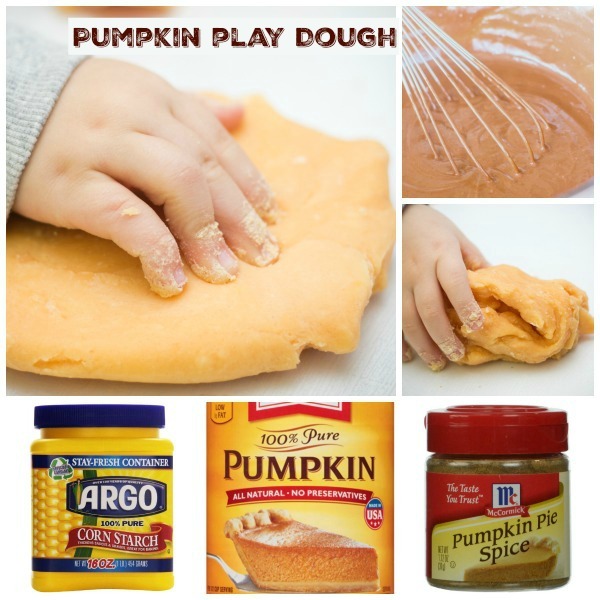 Last year we made erupting pumpkins, and my kids have been intrigued to try making other things erupt ever since. 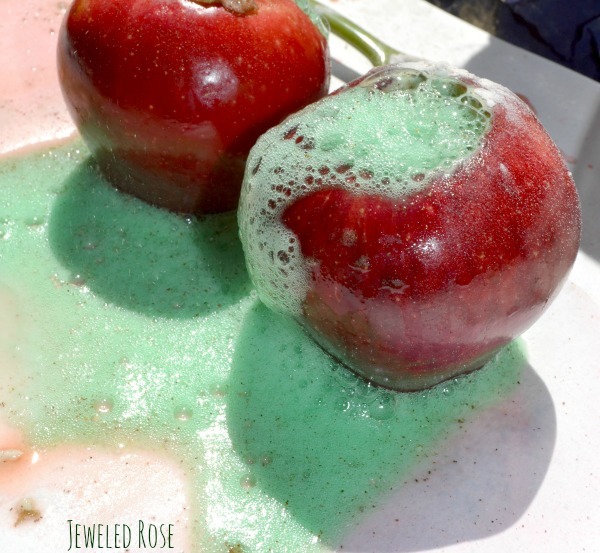 So, we hallowed out a few apples today and tried our hand at making erupting apple volcanoes. 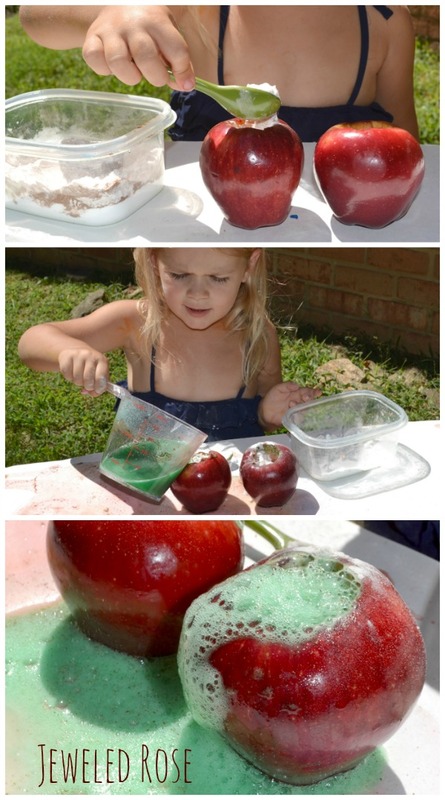 Then they added a bit of baking soda to the cored apples and poured in a bit of vinegar. 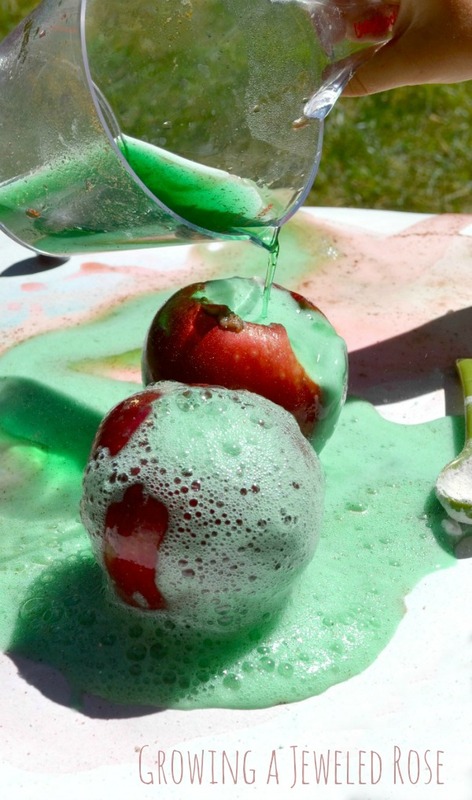 And then they watched the apple volcanoes ERUPT! Over & over again! 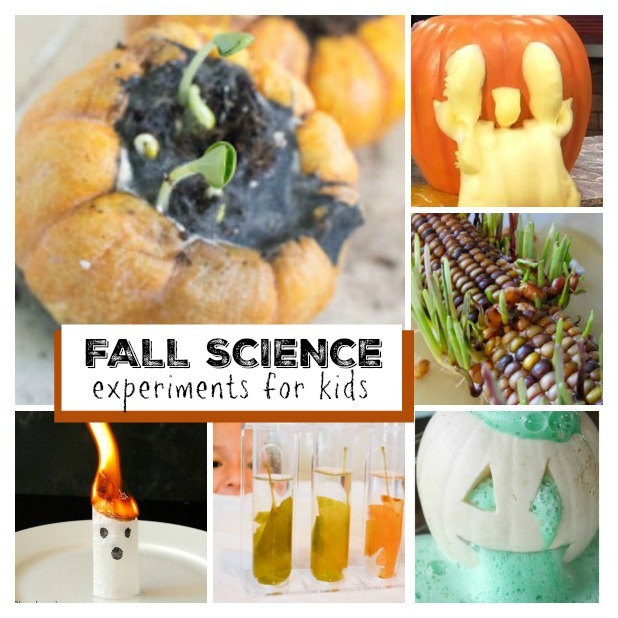 This was such a fun and simple science activity for the Fall, and it was a great way to keep my kids entertained while spending a long day at home! 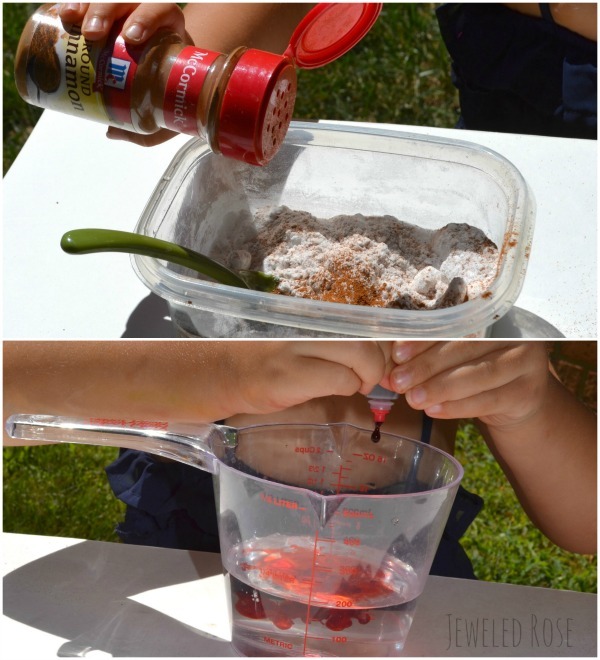 If you are looking for a simple and fun Fall experiment for kids be sure to give this one a try!